A new 6-episode TV series on the world’s most exciting destinations uncovering the very best it has to offer to luxury aficionados and adrenalinE junkies. Russ Malkin, experienced television adventurer and Charley Speed, award-winning supermodel are chalk and cheese when it comes to travel. Russ is an all-out adventurer and thrill seeker but Charley feels at home basking in luxury. They’re both travelling the world, pitting super-cars against off-road-bikes, rock-climbing against sailing in ultra-luxury super-yachts trying to highlight the best from each style of travel. Each episode features their journeys through a country, shining a spotlight on the best that it has to offer to travel lovers everywhere. 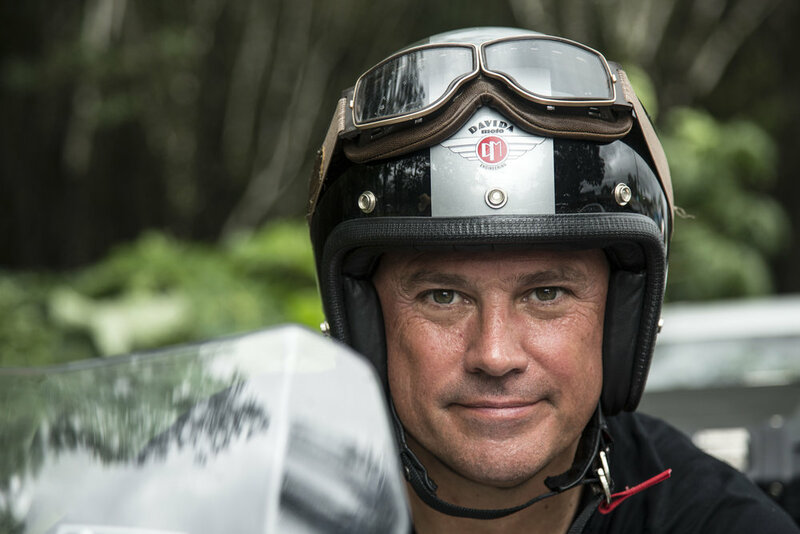 Russ Malkin is an avid adventurer, author and motorbike enthusiast who has produced and directed of some of the most exciting and popular motorcycle adventure travel documentaries on TV, including Long Way Round and Long Way Down featuring Charley Boorman and Ewan McGregor. He looks to inspire, excite and inform people with thought-provoking and returnable adventure TV formats, and has achieved incredible success by following his passions. Russ’ passion for travel and motorbikes have taken him on expeditions to varied, remote and truly amazing destinations around the world such as the Siberian tundra, the Bonneville Salt Flats and Fox Glacier in New Zealand, many of which Russ has documented in the book “101 Amazing Adventures”. After winning a UK modelling competition at the age of 15, Charley signed with Models1, quickly appearing in four separate international Calvin Klein campaigns with Kate Moss, instantly catapulting him into the world of high fashion. Travelling the world from an early age, Charley went on to work with some of the most renowned designers and revered photographers in the fashion world. 1997 saw the industry recognise Charley's achievements, awarding him Male Model of the Year at the prestigious VH1/Vogue Fashion Awards in New York. Charley continued travelling the globe, featuring in various advertising campaigns and appearing in productions for television, film and stage including two seasons as a judge on Britain's Next Top Model alongside Supermodel Elle Macpherson. His most recent television series Road Rivals and continued editorial contributions to luxury magazine Lusso have enabled him to indulge his passions for travel and all things automotive. Charley's brand new series Adventure or Luxury continues this trend as he teams up with Russ Malkin and explores Thailand's best luxury and adventure experiences. Motorcycles that deliver the complete riding experience. Hamilton watches combine the American spirit with the unrivalled precision of the latest Swiss movements and technology. 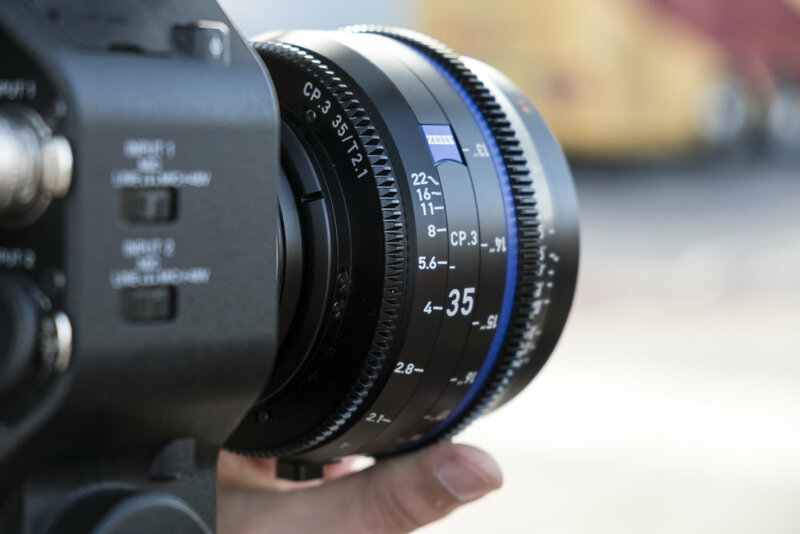 Impressive creations of photography and cinematography have been developed through the lenses ofZEISS since 1890. Adventure or Luxury is a Big Earth and SWR Media co-production. Led by it’s founder and creative director Russ Malkin, Big Earth Productions is first and foremost a TV production company that takes on ambitious projects for clients around the world. From exotic expeditions to adrenalin-pumping automotive adventures, Big Earth turns all of its commissions into fully packaged productions ready to be viewed by millions. Known around the world for the legendary motorbike adventure series Long Way Round, Long Way Down and Race to Dakar, Big Earth has gained a reputation over the past 20 years for running exciting and innovative projects. SWR Media was founded in 2005 and is now based in both London and Los Angeles. We have worked with the world’s most famous brands including Rolls Royce, Aston Martin, Patek Philippe, BNP Paribas and Cessna. SWR Media founded and owns Lusso magazine, the largest luxury lifestyle magazine in Europe and since 2008 has been responsible for producing broadcast television content for Red Bull, BBC America Travel and Discovery. Most recently, completing production on Top Gear for BBC America in Los Angeles.